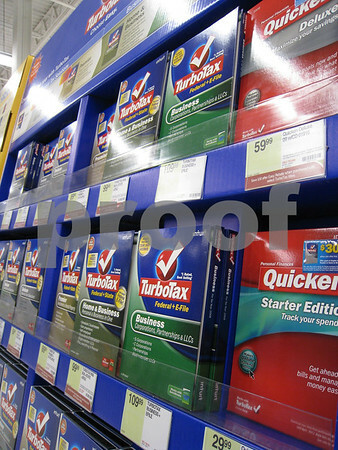 What better way to spend a cold Saturday afternoon than buying tax software. I beg you, put a gun against my head and pull the trigger! (1) I honestly think that filing out the rebate forms will take more time than our actual taxes. Seriously, I was provided 8.5 feet of register tape - I kid you not, I measured. (2) I am surprised I am not in jail right now - I asked a sales associate if I could take a picture of their display and the guy looked at me as if I had asked if I could urinate on it. One of my hopes is that this project will make me more comfortable asking to take pictures of people, etc. I hope everyone isn't like him.